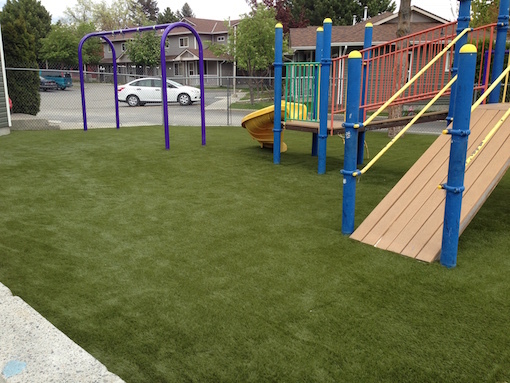 Dog runs, pet pads, agility landscaping, pet parks and more are benefitting from the superior quality of SYNLawn’s pet systems. Dogs love the feel of the grass and can not tell the difference, or just don’t care if it is artificial. 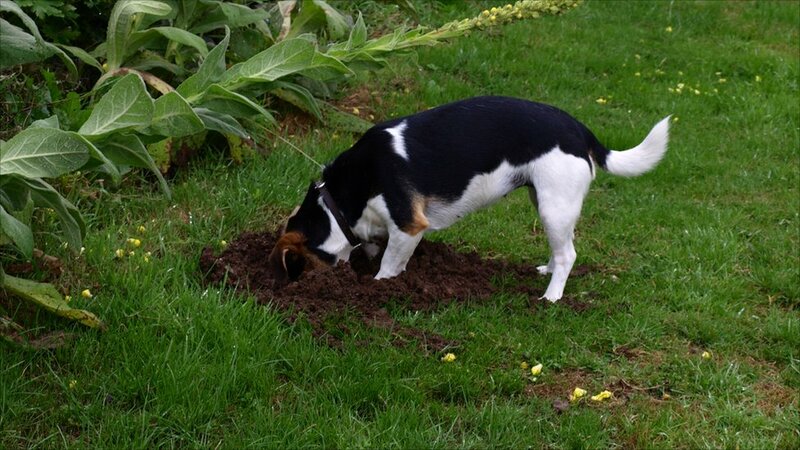 Pet owners love that their dog no longer digs holes in the yard, gets muddy feet and is less likely to be in contact with fleas or ticks. With our pet systems your dog has the freedom to play without leaving its’ mark. Urine smell no longer is an issue. Clean up is easy. With sufficient drainage there is no puddling or mess. Your yard appears green all year long without using water, pesticides, fertilizers or any other chemical. No re-seeding for patches of yellow or dead grass. Everyone is happy! 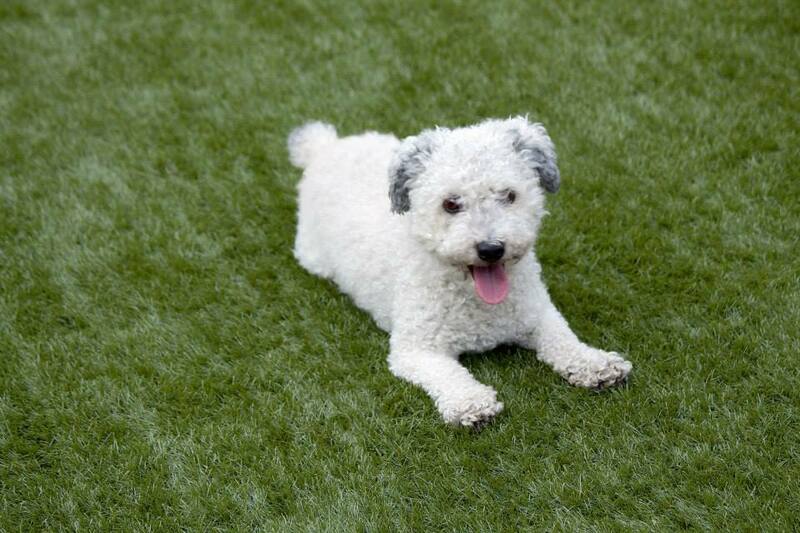 With SYNLawn’s HeatBloc™ technology the grass is cooler in the heat so pup’s paws don’t get hot. With a class 1 fire rating the grass is safer and helps resist fire hazards, especially from cigarette ashes. All this grass – I don’t know what to do! We love and appreciate pets and understand their needs to play. 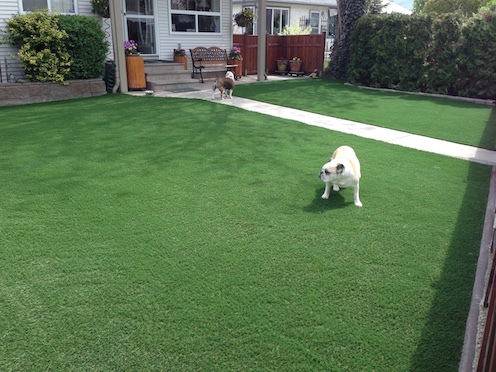 If you are concerned about water restrictions which will continue to play a part in the landscape of our cities now is the time to install a synthetic grass system in your yard. If you have children who love to play, jump and run on the lawn you will be surprised at how natural, soft and real our grass feels. Wheelchair and stroller accessibility allows ease for everyone to participate in backyard barbecues. With a playground system you can rest assured of better safety for falls from swings, slides or trampolines too!